A new colleague at HTW Chur (thanks to Tanja) gave me a very useful hint: When I mentioned Flipboard as one of my favorite apps for the iPad, she recommended me Zite, another personalized magazine. 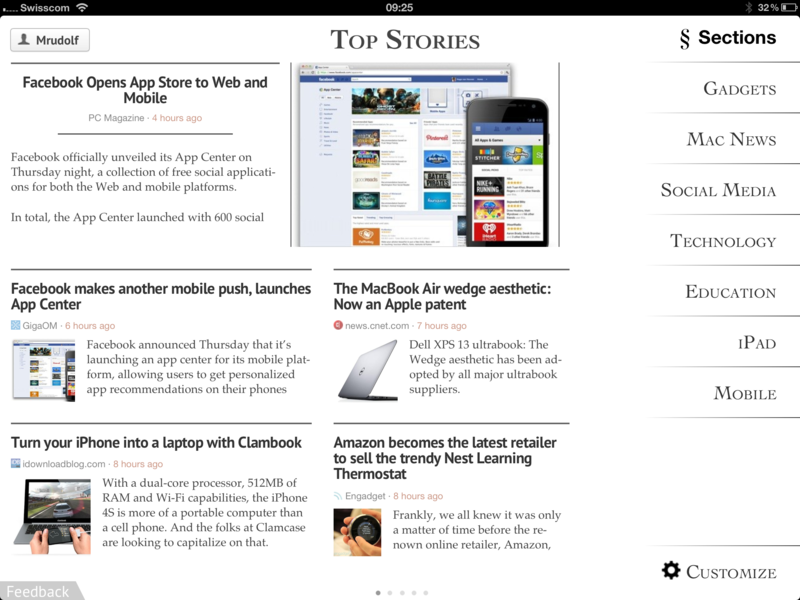 Compared to Flipboard it is more interactive and dynamic. Zite evaluates millions of new stories every day, looking at the type of article, its key attributes and how it is shared across the web. Zite uses this information to match stories to your personal interests and then delivers them automatically to your iPad or iPhone.